Here is yet another woman who is proving to be astonishing. If you’re used to saying that age is just a number, then you most probably know that most people don’t believe in that fact. To help them believe, though, you need to get a bit of proof to back up your claims. To wit, say hello to Jenny Darren. 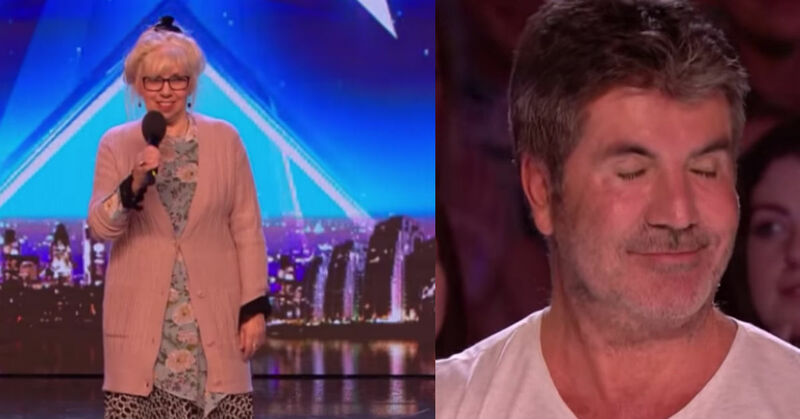 The 68-year-old rocking woman had an awesome few moments when she made an appearance on the stage of Britain’s Got Talent, and she made sure to rock these moments as much as she possibly could. Jenny first began to sing when she was just 12 years old and from that moment on, music has been a major part of her life. Although she started out majoring in rock music, she soon made a crossover and added both jazz and classical beats to her repertoire as well. 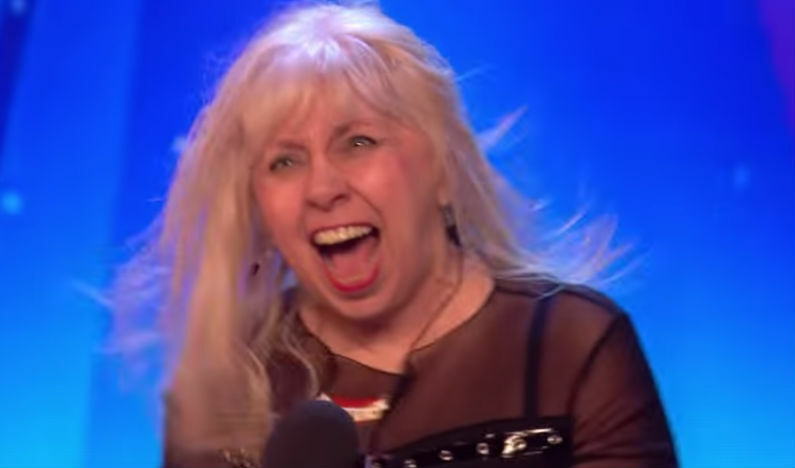 This rocker woman is a huge fan of the iconic band AC/DC, and while she grew up, the band had a major role in her life and her interest in music as well. Back in the late 70s, she was actually one of their supporting acts. Jenny put out four albums, with some features that included some big names like Nicko McBrain, the drummer for the Iron Maiden. That feat there is something that not everyone is able to boast about. When Jenny appeared on the show, there is no doubt to the fact that it was a major success. When she first made her way in front of the judges and the audience, she looked just like every other typical lady, with her hair in a bun and the cardigan that she wore. She had a look that made everyone in the audience think that she was going to perform some classical song or the other, but everyone was wrong. Just before she began her rendition, she shocked everyone by taking off her long skirt and revealing a black combination of a leather t-shirt, boots and a skirt. It was like a complete makeover had happened, and the crowd was enjoying every bit of it. At this point, it was obvious to everyone that they had a rocker in their midst. Now, on to the show. She performed the classic rock hit “Highway to Hell”, and that was when she left every single person in the room in a state of complete awe. She had the kind of talent that was obvious to everyone, and they could all get a sense of just how self-confident she was. With every move she made and every note she struck, it was as if she was taking control of the stage more and more. And why wouldn’t she be? She had some incredible skills while on the microphone! She captivated every single person in the audience, and it was truly an incredible sight to see. Her performance brought smiles to the faces of all the judges, and they definitely enjoyed the opportunity to see this once in a lifetime performance. 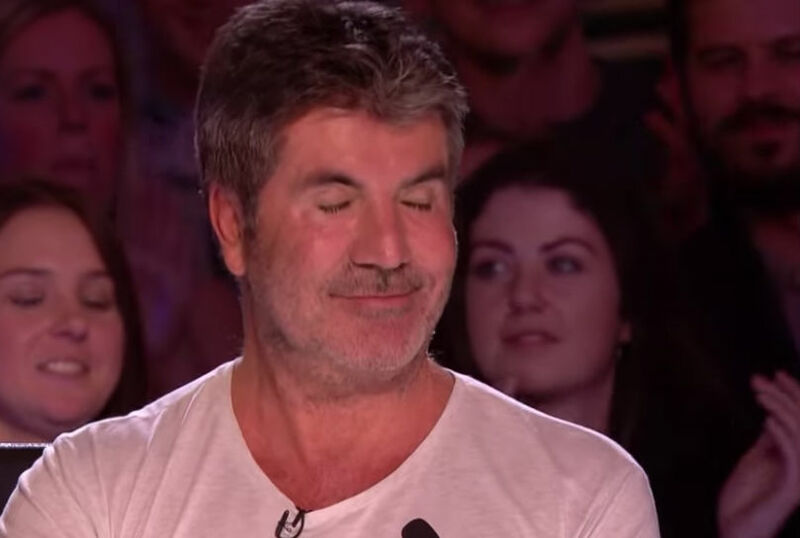 Simon, while looking at Jenny, said, “You’re a little tiger. No, you’re a big tiger, aren’t you? Needless to say, thus woman got yesses from all four judges. So, do you now believe that age is truly nothing but a number?